Why should I prefer ‘Russian Caviar House’ to other suppliers? 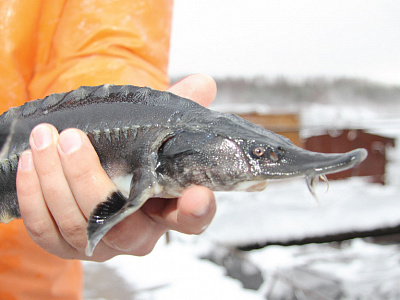 ‘Russian Caviar House’ is the oldest company in Russia farming sturgeons and producing caviar. Our spawning school is the most mature having fishes aged 15 years and more. For nearly 20 years we’ve been gaining proficiency in caviar manufacturing by Learn more using milking method for caviar extraction. Our products of sustained quality are highly appraised by professional experts and consumers. 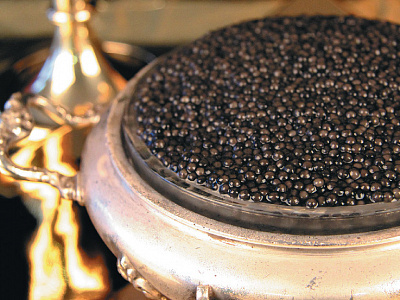 The price for 1 kilogram of legal Russian caviar may vary from 40,000 to 90,000 rubles. The price depends on the kind of sturgeon the caviar is received from, its age, and the way it is prepared. 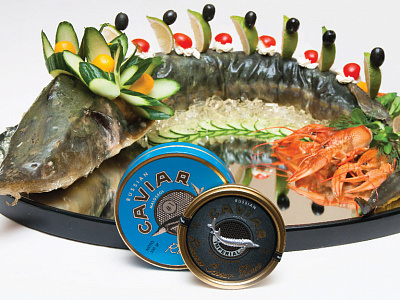 Sterlet caviar is the least expensive whereas Learn more rare and luxurious beluga caviar is most costly. 1. It is now quite a rare product, not available in the wild nature. It is produced only within special farms where sturgeons are maintained in special conditions (similar to Learn more natural), feeded and cared by veterinars till the maturity stage which comes at the age of 6-8 years. 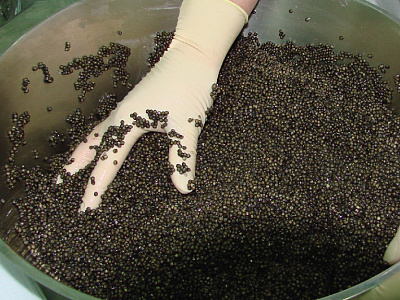 Farm-raised sturgeon caviar is extracted when caviar grain has optimum maturity, so every fish undergoes ultrasound investigation. Caviar processing techniques are also complex, so, overall process is labour intensive and demands long-term investments. 2. Caviar is commercially marketed worldwide as a delicacy for its unrivaled gustatory and nutritious properties. What preservatives are added to caviar? Nowadays producers in Russia use safe additives based on salt and sorbic acid. This mixture is called LIV 1, it does not affect the taste of caviar but allows for its longer shelflife. Pasteurized caviar is produced without any additives, but Learn more thermic process makes caviar taste a bit neutral. 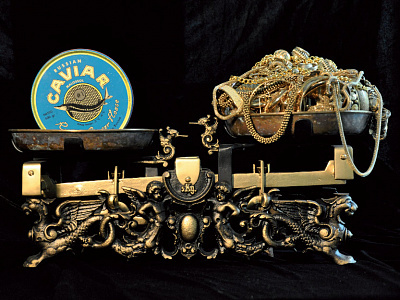 What amount of cavaiar is allowed for exporting? It is allowed to export maximum 250 grams of sturgeon (black) caviar in original packing (per person). You don't have to declare it but note that there may be specific regulations for importing caviar into the country you are Learn more travelling to. If you take out other seafood products, including salmon roe, its amount is limited by 5 kilos per person. 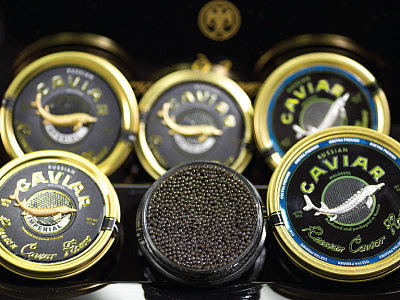 Please do not pack caviar cans in your hand luggage to prevent them from deprivation by the airport security. We provide buyers with CITES certificate confirming the aquaculture origin of our caviar for any disputable situations that may arise when crossing the board. Proper storage of caviar is important not only for keeping it fresh and safe for your health, but also for preserving genuine taste. While the jar or can is packed/sealed, please keep it in refrigerator under +2 - 2 degrees Centigrate Learn more maximum. Do not let it get frozen. After opening try to consume it whithin 3 days because later it starts to deteriorate in quality. Caviar is basically salted fish eggs extracted from the fish when it is ready to spawn. According to the Western traditions the name "caviar" refers to the roe of sturgeon species only. Any other precious roe must be called Learn more 'caviar' together with the species name of the fish, e.g. salmon or trout caviar. 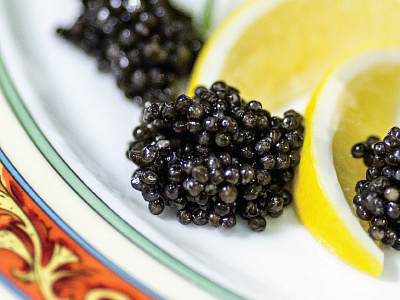 Sturgeon roe has grains of black colour, so sometimes it may be called 'black caviar', to oppose it to very popular in Russia red cavair of salmon.